My Dream of "A Nation Prepared"
Although most of my adult life was spent working in emergency management, I am disappointed in the status of our national preparedness. My dream for this country is Americans prepared for anything that comes our way. Despite years of various programs and more money than I can comprehend, we are not A Nation Prepared. While working at the city/county level, I worked with our county Board of Education, individual school Principals and teachers to get some type of program into science or health classes to train our young people about the threats in our area and how to be personally prepared for them. My dream made sense to me: Raise up generations of prepared children from very young ages and let them take it home to Mom and Dad. In other words, teach the principles of preparedness along with reading, writing and arithmetic and prepare children to take on the world and its risks. I called it teaching “Life Skills”. I preached the ABC’s of awareness, basic first aid and the three C’s: communication, coordination and collaboration. I expounded on natural and manmade disasters and the limitations of our local infrastructure when the BIG disaster hits – “It is up to you to take care of yourself!” I was welcome at any and all schools and could deliver my message to every class as long as I was the one who did it. After all, it gave hard-working teachers a needed break. However, no school administrator or teacher was going to take on another subject to teach because of the current teaching load – I can only hope a few teachers and students learned something from my efforts. The good news is that the Safe to Learn commitment to safety and learning is a new day. Its practical approach drives preparedness into the very fiber of our school systems and all the personnel working with our children. Yes, it can instill preparedness and readiness in our young people. With the advent of this very special program, I believe my dream of A Nation Prepared is within reach. Avagene Moore is a founding member of the Safe to Learn Advisory Council. She has over thirty-five years’ relevant experience supporting governmental and private sector companies in a career that started in Lawrence County, Tennessee and took her to state, national and international opportunities. Her expertise ranges from a career as a local emergency manager to time spent as the President of the International Association of Emergency Managers. Ms. Moore is currently a Certified Emergency Manager(CEM®) and a member of the International Women in Homeland Security and Emergency Management Hall of Fame. "A﻿nd how are the children?" The story of the Masai warriors of Africa and their practice of evaluating the “state of their union” or the state of their collective tribes focuses on one question which is asked of each tribal leader. That one question is, “How are the children?” ​ The responses to this simple question determine the direction for future decisions and actions. If all leaders cannot respond with the response, “All our children are well”, a national emergency is declared and all available resources are focused on addressing the problems preventing them from being able to reply, “All our children are well”. As a public school superintendent for many years, I have long recognized that children are our nation’s most valuable resource and our greatest responsibility. And yet, in the United States, we are far from being able to say, “All our children are well.” After being personally involved in multiple emergencies and hazards, both natural and manmade, I have grown to realize that in this great nation many of our children are often not safe. As educators, we have long accepted the mission of educating our nation’s children. However, many of us who make up the very diverse population that constitutes the United States of America, have failed to recognize that the first priority we have is to keep our children safe and provide a safe environment that is supportive and nurturing so that they can learn. "And how are the children?" Kay Karr is a founding member of the Safe to Learn Advisory Council. She has an extensive background in the field of education. She has served the public as a classroom teacher, elementary principal, junior high and high school principal, and then 17 years as superintendent, serving in a wide range of district sizes, locations, and wealth. 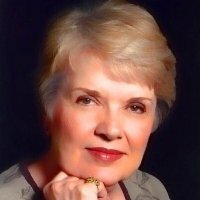 While in the superintendency, she served for eight years as a member of the Texas Telecommunications Infrastructure Fund (TIF) Board – a governor-appointed state board responsible for the distribution of $1.5 billion to schools, universities, public libraries, and not-for-profit health facilities.Upon retiring, or as she describes it, “redirecting”, she worked with Voyager Learning, helping to develop online learning opportunities for teachers and administrators across the nation. Shortly thereafter Responsive Learning was founded. Responsive Learning is dedicated to improving instructional effectiveness by connecting teachers to leading experts through on demand, personalized and differentiated professional learning.